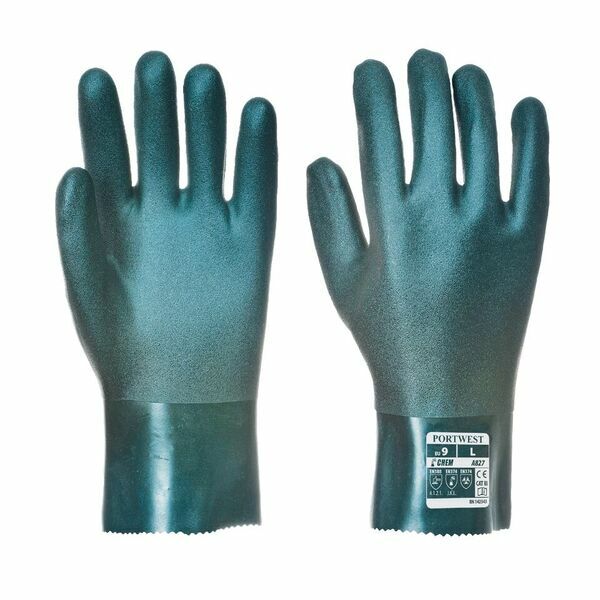 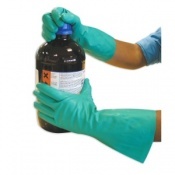 With a sandy nitrile finish to offer grip in slippery conditions, the Portwest 27cm Chemical-Resistant PVC Gauntlets A827GN provide excellent protection against a wide range of chemicals and substances. 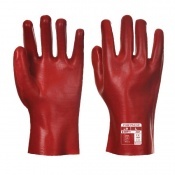 Furthermore, their inner cotton liner ensures comfort, while their high dexterity means that gauntlets can be used to handle materials safely and securely. 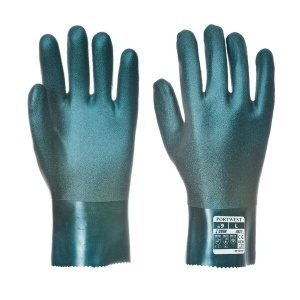 With a sandy palm finish on the double dipped PVC coat, the Portwest 27cm PVC Gauntlets offer exceptional grip in dry, wet and oily conditions. 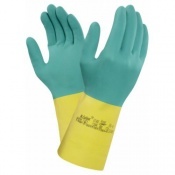 This makes them highly useful for applications such as oil and gas and petro-chemical work, as the chemical resistant properties of the gauntlets promise exceptional performance.